Here's the first poster released for Tim Burton's stop-motion 3D pet project FRANKWEENIE. 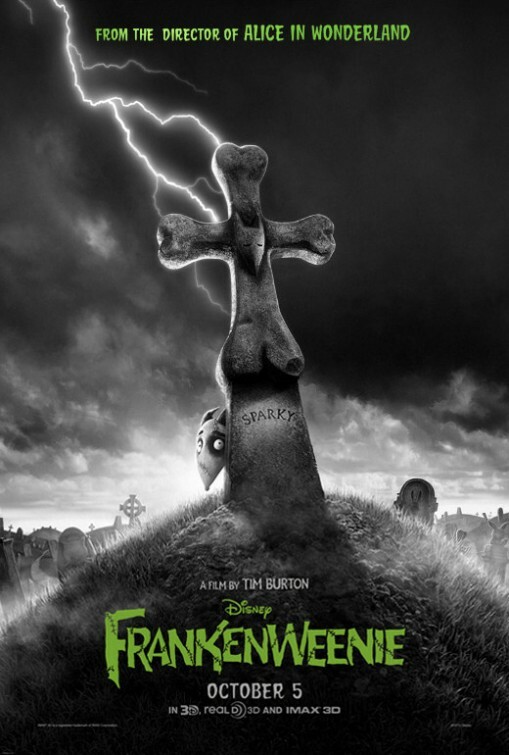 Winona Ryder, Martin Short, Catherine O’Hara and Martin Landau all lend their voices for Frankenweenie which is scheduled to release in theaters on October 5th. After unexpectedly losing his beloved dog Sparky, young Victor harnesses the power of science to bring his best friend back to life - with just a few minor adjustments. He tries to hide his home-sewn creation, but when Sparky gets out, Victor's fellow students, teachers and the entire town all learn that getting a new "leash on life" can be monstrous.